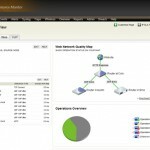 SolarWinds is rewriting the rules for how companies manage their networks. Guided by a global community of network engineers, SolarWinds develops simple and powerful software for managing networks, small or large. Our company culture is defined by passion for innovation and a philosophy that network management can be simplified for every environment. 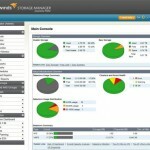 SolarWinds is changing the way organizations of all sizes monitor and manage their corporate networks. We strive to build products that are affordable, easy to use, fast to implement, and highly effective. That’s why more than 100,000 customers in organizations ranging from small businesses to Fortune 500 enterprises trust our solutions to discover, configure, monitor and manage the increasingly complex systems and processes that make up the network infrastructure. Detect, diagnose, and resolve network performance problems across your multi-vendor devices. 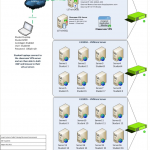 Monitor, manage and back-up your multi-vendor network device configurations. See how your network is being used, by whom and for what purpose. SolarWinds VoIP & Network Quality Manager gives you at-a-glance insight into all aspects of VoIP and WAN performance, provides the ability to search and filter your Call Detail Records (CDRs) and call management records, and delivers a global snapshot of all of your IP SLA operations. Create, schedule and share IP space reports across your entire team with detailed visibility into IP address space usage. SolarWinds User Device Tracker helps you find devices as fast as you can type the IP address, Hostname, or MAC address and hit search. Switch port mapping has never been easier! 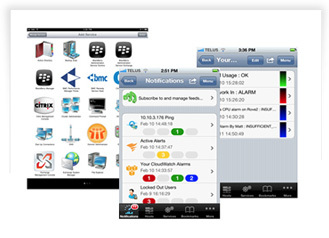 Monitor, alert, and report on your physical and virtual apps and servers. Unify capacity, performance, configuration,and chargeback management for your virtualized infrastructure. Optimize the performance and capacity of your physical & virtual storage infrastructure for the virtual environment. Get consolidated end-to-end visibility & control over backups throughout your enterprise. SolarWinds Log & Event Manager (LEM) delivers powerful log management capabilities in a highly affordable, easy-to-deploy virtual appliance. This product combines real-time log analysis, event correlation, and a groundbreaking approach to IT search to deliver the visibility and control you need to overcome everyday IT challenges, while improving security and facilitating compliance. A collection of over 50 powerful network management tools accessed through an innovative Workspace Studio. Cut troubleshooting time in half using the Workspace Studio. Perform robust network diagnostics for troubleshooting and quickly resolving complex network issues. 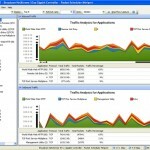 Deploy an array of network discovery tools including Port Scanner, Switch Port Mapper, and Advanced Subnet Calculator. Manage Cisco® devices with specialized tools including Real-time NetFlow Analyzer, Config Downloader, and Config Compare. Receive, log, display, alert, and forward syslog and SNMP trap messages from network devices.